Want to capture leads online for your health and fitness center, health and fitness supplements etc? Use our appealing, clean, professional and modern lead generating landing page designs to promote your services online and gain maximum exposure. You can edit and use any of our health and fitness landing pages that suit your needs or you can even order a custom design based on your custom requirements. 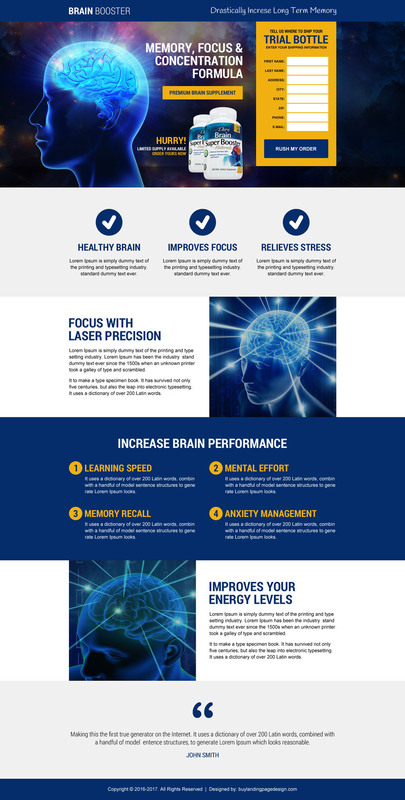 Premium brain supplement trial offer lead capturing appealing and conversion oriented landing page design.